K) DemoAdmiral Markets L) Live - riil Admiral Markets M) Live - riil Naga Markets Ltd N) Live - riil FBS Inc O) Live - riil Admiral Markets P) Live - riil Admiral Markets Q) Live - riil Admiral Markets R) Live - riil Admiral Markets T) Live - riil International Capital Markets Pty Ltd. U) Live - riil International Capital Markets Pty Ltd.
Akun demo tidak memiliki model pembayaran yang diijinkan. EA with low Risk „Come in and make Money „. EA with low Risk „Come in and make Money“. EA with Löw Risk „Come in and make Money“. 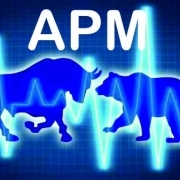 „Come in and make Money“ APM is 100% automated trading system. Expected profit is 10-20% a month with low risk. Leverage minimum: 1:500 Please use VPS as this EA works 24/5. Minimum deposit: 10.000 $/€ If you have questions, so please give me a message. I answer quickly.